One of the beautiful swimming holes at Semuc Champey. 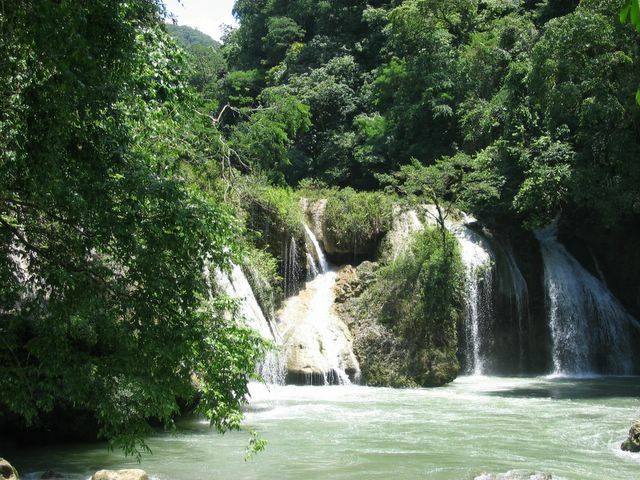 After visiting Cobán, Rob, Mark and Jennifer ventured off into the nearby jungles of the Alta Verapaz, down 2 hours of dirt roads, to the popular swimming hole of Semuc Champey. 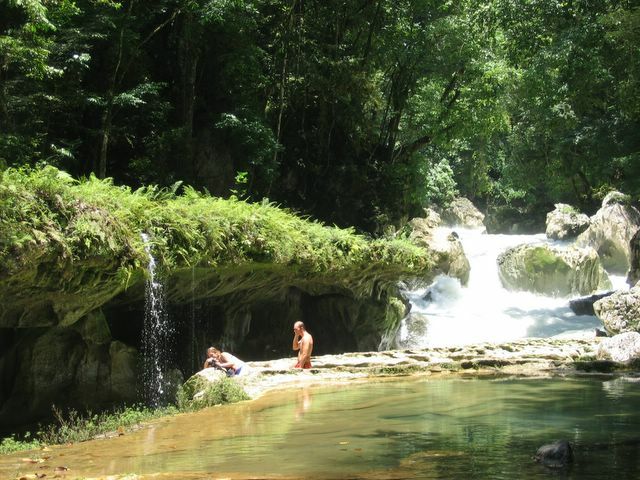 At this odd geological formation, the main Río Cahabón pours through an underground cave for about half a mile, while a series of pools form in the riverbed over top of the cave, from some small streams that come in from the sides. 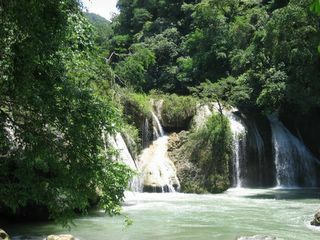 At the lower end of the site, these streams join the Río Cahabón at a dramatic waterfall. 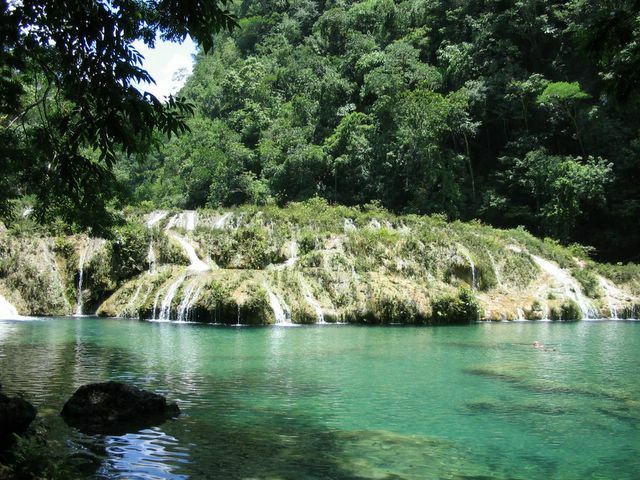 At the upper end of Semuc Champey, the Río Cahabón pours into a cave and runs underground for about half a mile. Whitewater rafting through here is not advised! 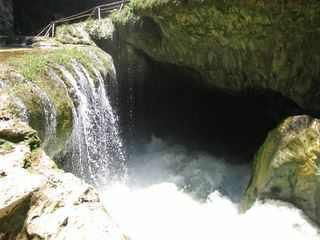 Jennifer and Mark watch the river pour into the cave. At the lower end of Semuc Champey, the smaller streams cascade from above, while the main Río Cahabón emerges from a cave under the waterfall. 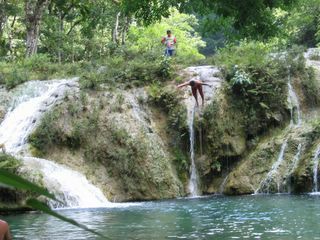 A popular pastime at Semuc Champey.